Presently, the NMCP regulates only thermal units with the potential to emit mercury. However; to accurately evaluate all potential mercury emissions from a precious metal mining and processing facility, the NDEP, US EPA and the mining industry have funded fugitive emissions research and air sampling methods research through the University of Nevada, Reno. 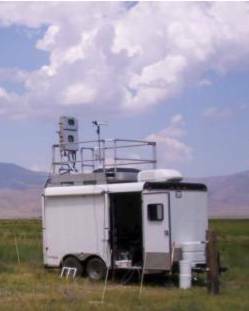 In September 2006, the NDEP stepped forward to fund two northern Nevada mercury air sampling sites that otherwise may have been forced to close due to lack of funding. In addition, a new site is being constructed in the Reno-Sparks area. In Nevada there is a real lack of sound scientific data concerning the various sources of airborne mercury, how mercury is transported and deposited, and its impacts on health and the environment. NDEP has committed more than $69,000 to support the operation of the three sites and related research. The two existing sites are located in north central and northeastern Nevada, one on the Lesperance Ranch north of Winnemucca and the other on the Gibbs Ranch north of Wells. The new site is located on the University of Nevada, Reno (UNR) farm at east McCarran Blvd. and Mill St. The sites are designed to l measure deposition of mercury in wet atmospheric conditions such as rain and snow. 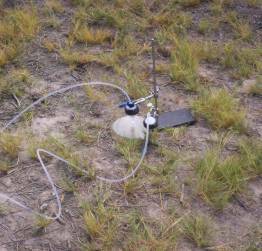 In May 2006, NDEP was awarded a $364,000 research grant from U.S Environmental Protection Agency (EPA) to fund UNR's development of an easily deployable sampling system to detect mercury in dry air. The two existing wet-deposition monitoring sites are part of the national Mercury Deposition Network (MDN), a cooperative monitoring program comprised of federal and state agencies, academic institutions, Native American tribal governments and private organizations. The MDN provides a nationally consistent survey of mercury deposition in wet conditions; identifies long-term pattern changes in deposition rates over time and space; and provides high-quality data for use in estimating deposition rates locally and between sites, and for future mercury policy and modeling efforts. There are currently 88 MDN sites across the United States, but only two in the Great Basin area. The new Reno-Sparks site is new to the network and is one of the few in the nation to measure mercury emissions in an urban area. The NDEP has awarded researchers at the University of Nevada, Reno a grant to determine whether the amount of mercury air emissions from land disturbed by current mining activity is significantly different from mercury air emissions from similarly mineralized undisturbed land. This is a two-year contract anticipated to commence approximately May 1, 2007.